"Get ready to get rich! Aaron LaPedis has blown the dust off all the secrets that shroud the mysterious, often intimidating world of collecting and created this absolutely indispensable guide to hunting down and profiting from old stuff. This book is absolutely the best, most comprehensive and most practical guide to collecting available. Whether buying high–end treasures at Sotheby′s or bidding on abandoned storage units, armed with this essential collector′s companion, you′ll be an expert too!" "This book covers it all: the thrill of the hunt, the nitty–gritty of negotiation and the how–to′s of making money buying and selling." "The Garage Sale Millionaire simplifies the process of buying low and selling used items higher to make a profit. 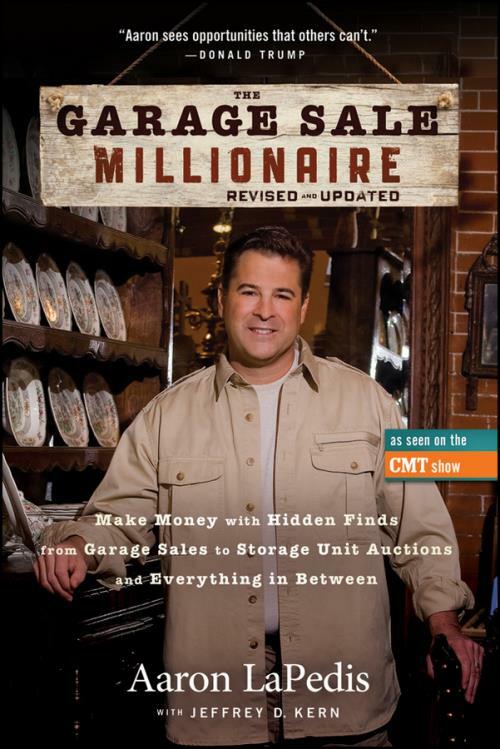 This book is a must–read for anyone interested in applying their love of garage and estate sales, auctions and thrift store hunts to create a thriving business."